Tyler Gau, citizen developer at Cincinnati Bell, does development to find solutions for users with FinancialForce professional services automation. Gau tells CXOTalk about PSA and how it’s leading digital transformation in the new services economy. Cincinnati Bell is using the PSA tool in the same cloud as project and sales data, to obtain better insight. 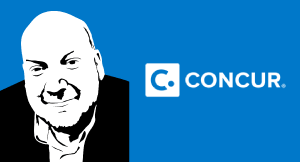 Michael Krigsman: I’m Michael Krigsman, an industry analyst and the host of CxOTalk. I’m in Las Vegas at the FinancialForce user event, Community Live 2017. And I’m speaking with Tyler Gau, Citizen Developer, with Cincinnati Bell. Hey, Tyler! How are you doing? Tyler Gau: I’m doing well! Thank you for having me. Michael Krigsman: So, we’re not going to drill down now into the fact that you speak Ancient Greek. Michael Krigsman: And Latin. I don’t want to leave out Latin. Tyler Gau: Yes. Let us not. Michael Krigsman: But tell us, what’s a Citizen Developer? Tyler Gau: So, as a Citizen Developer, I am an employee on the business side of our company who does development work in our tool. So, I’m not part of IT, but I do with IT to get solutions that make the most sense for our users. And I do have some knowledge of the business, and my expertise is more in the tool. So, I can make sure that the solution meets the needs of our users a little bit quicker than we could buy one through the typical IT model. Michael Krigsman: And the fact that you report through the business really demonstrates the commitment that the organization has to understand what users require and fulfill those needs. Tyler Gau: Mhmm. Absolutely. So, that operation side of our business is important. And, the fact that they put that on the business side, I think, helps to show how much they want our business to influence what’s happening in their tool. Michael Krigsman: Now, you’re very involved with professional services automation. Michael Krigsman: And share with us what your role in that is. Tyler Gau: So, I was brought onto Cincinnati Bell as an administrator for our PSA application with FinancialForce. And, through that, I sort of turn into a developer and began writing the code above and beyond doing reports and things that an administrator might do. And so, that's really my role with the application. I do work with the business. My manager takes requirements from the business, and we work together to design solutions that meet the needs of the business. And so, that's what I focus on every day. Michael Krigsman: And if we drill down into professional services automation, can you describe what are the goals of PSA? Tyler Gau: Sure. Our overall goal is to be able to seamlessly pass a sale all the way through execution in the same tool. So when we implement it, it’s important that we started with the Salesforce CRM, and went through something that could go from a salesperson. It could be quoted. It could then go to the project management team, and be executed for our customers. It helps streamline things so that we do our work quickly, that we have our data all living in the same environment. It provides good visibility both to our upper management and to our sales and project teams. So, a salesperson might be able to see the project that they’ve sold and better manage their relationships with their customers the same way that our project managers will be able to see that they might have a project for an installation coming up soon. They have better visibility into planning their resources out. Michael Krigsman: So, it sounds like these tools are really the heart and soul of your operations. Tyler Gau: Absolutely. They really help to create some collaboration between these different groups. Because they’re all living out of the same environment, it really allows them to get everything they need from one spot. Michael Krigsman: And they’re sharing one common body of data. Tyler Gau: Yes, this is one organization and inside of it live many tools. Michael Krigsman: But when we talk about the services economy, which of course, has been the theme of this conference, it seems that having a common set of data is really a requirement. Tyler Gau: That idea that we don't own a server that hosts all of this data, all of our data is now in the cloud. All of the data is accessible wherever. We don't have to be limited to being on a network somewhere. We can use our mobile phones and go out and use the Salesforce mobile app to log an opportunity or to log our time card, or an expense. The idea that we can go and sell anywhere, we can go and work on projects and update projects anywhere, there's a huge part of selling faster in that new services economy where we're really providing this service and we're not tied down with just hardware. Michael Krigsman: It sounds like your users have very high expectations of you. 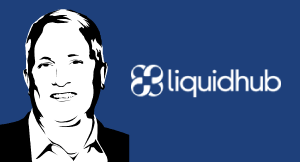 Tyler Gau: I think that this has really enabled them, [for] our implementation of this tool, has really enabled them to ask for more and rethink the way that they are conducting their business processes. They see that we can automate more things. They see that we can make this easier on them, reduce that operations time that they have through automation, and really allow them to get out and be on the field more and not spend so much time going through manual processes. Michael Krigsman: So, you roll out new capabilities, and then they see what’s possible. Michael Krigsman: So, they come back to you, and they say, "Hey, can you now do this or that?" Tyler Gau: Absolutely! And we have a list of enhancements that are over hundreds of items long. And, every time we turn something out, we seem to come back with three or four more items on that list. And it's really great. It shows that they are thinking critically about their processes, about how they do their jobs and thinking about the possibilities that they have and how they can accomplish more. Michael Krigsman: It’s great to have that kind of relationship with your users. Tyler Gau: Absolutely! And I think being in the business is critical for that, where they might not get that in a typical IT business silo. Michael Krigsman: That’s one of the challenges of traditional IT. Michael Krigsman: So, we’re at the FinancialForce user event. What are you doing with FinancialForce? Tyler Gau: So, we have our professional services tool that we're using through FinancialForce, and we're also rolling out revenue management, the revenue recognition. We're a publicly-traded company so that the new revenue recognition rolls will be rolling out this December. So, before that, we have to roll out our revenue recognition tool. Michael Krigsman: Why is this so important? Tyler Gau: One, it's a rule that we have to have it. And, it's important that we're using FinancialForce's tool specifically because it is living in that Force.com platform, so it's living in the same location as our project data; as our sales data. So, we [can] not just see that we have a project, but we can also see the margins on the items that we're selling, and how those are distributed, so it allows us to have better insight into those things. Michael Krigsman: And it sounds like revenue recognition is so important for your business, for compliance purposes, but probably also to understand how your business is functioning. Tyler Gau: Absolutely! Part of those rules is [to understand] the margins at which you're selling different products in a specific deal. So, understanding that distribution is important for our company. Michael Krigsman: Tyler Gau, Citizen Developer, thank you so much! Tyler Gau: Thank you so much, Michael! I appreciate it. Michael Krigsman: But there is one last thing. Do you really speak Ancient Greek and Latin? Tyler Gau: I do. What would you like me to say? Michael Shullich, senior director at Medidata Solutions, and Naimisha Kollu, senior project manager at Medidata, speak with CXOTalk about embracing change in the new services economy. 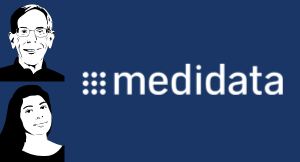 Medidata is a software company in the vertical of software and life sciences, with clients in the pharmaceutical and medical industries. The company uses FinancialForce’s PSA module and part of its building engine for professional services expansion. 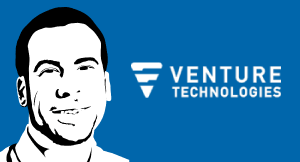 RJ Smith, VP of Finance with Venture Technologies, speaks with CXOTalk about digital transformation in the technology reseller industry. One of the biggest changes in recent years is the evolution of customer service, as Venture utilizes tools like Salesforce and FinancialForce in the planning and data analysis process. Enterprise cloud customers expect great product functionality combined with a high level of service quality and excellent user experience.